Several surveys and expeditions of the American West were sponsored by the US government in the latter half of the 19th century. Painters, naturalists, and photographers joined these expeditions to record and document their encounters in diaries, sketches, paintings, and photographs. 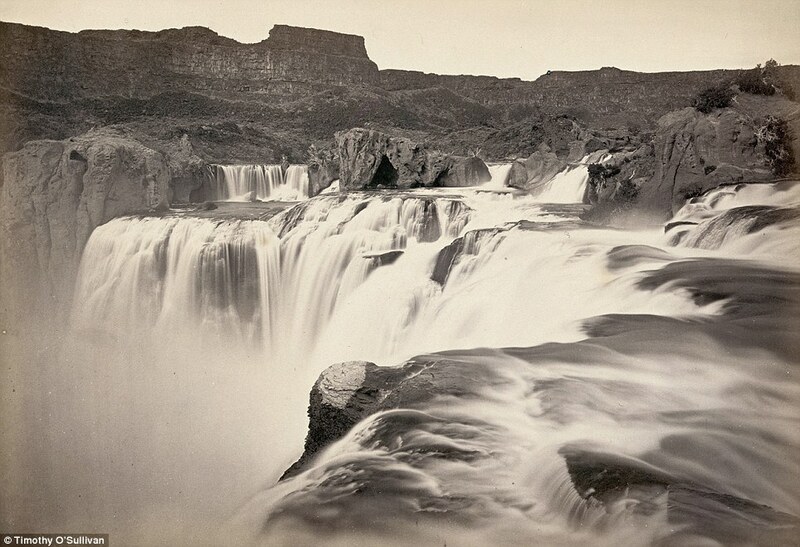 An enduring legacy from these expeditions are collections of stunningly beautiful sepia-toned photographs using state-of-the-art photographic equipment of the day. Notable among the photographers who documented the American West were William Henry Jackson and Timothy O'Sullivan. William Henry Jackson joined the 1870 and 1871 Ferdinand Hayden expeditions of the Yellowstone River and Rocky Mountains. Hayden and his men were dispatched to chart the west, identify navigational routes, and to observe plants, animals, and geological conditions. 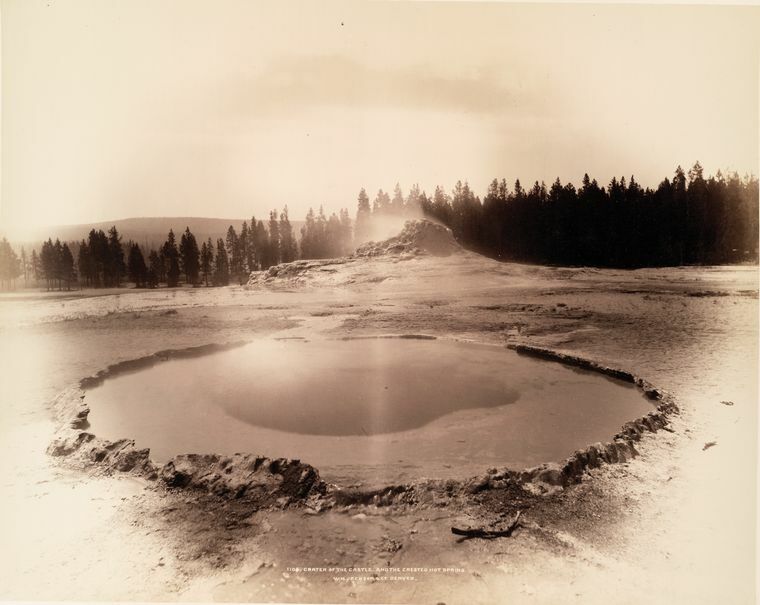 Jackson's photographs were instrumental in establishing Yellowstone National Park. an 18 x 22 inch large-format view camera. Timothy O'Sullivan joined several extended expeditions as a photographer including the United States Geological Survey exploration of the 40th parallel (1867 to 1869), and the survey west of the 100th meridian for the War Department (1871 to 1874). The view cameras of the era used glass photographic plates. The photographer had to coat, expose, and develop the image onsite before the collodion emulsion dried. Depending on the light conditions, exposure times varied between 5 seconds and 20 minutes. The image the photographer had to compose was upside-down because the direct optics from the lens rendered it upside-down on the ground-glass screen of the view finder. Early Landscape Photography of the American West, New York Public Library Digital Collections. How the Wild West Really looked by Rob Cooper, Daily Mail.